Very good match. Lorcan and Burch were aggressive as usual, but so were The Mighty. The match went back and forth, and it was difficult to tell which team would come out on top. I really liked this, and the final few minutes were quite fun and exciting. After the match, The Mighty attack Lorcan and Burch. The Mighty are proud of themselves as they leave the ring. Earlier today, Kairi Sane is not happy, and she’s not finished with Shayna Baszler. Dakota Kai doesn’t like what Shayna and her friends have been doing to Kairi. Io Shirai wants to protect her best friend. All three of them want all three of Baszler, Duke, and Shafir. Good match. Barthel looked pretty good, but ultimately this was a rather quick and dominant win for EC3. After the match, EC3 addresses Bobby Fish and the chair shot Fish delivered a few weeks ago. EC3 is vindictive, and he is coming for Fish. A promo for Dijakovic. Feast your eyes. Borne had some offense, but this was Yim’s match. Yim looked strong. Borne looked about like she usually does. Tommaso Ciampa talks about all the promises he’s kept about being the best and most dangerous person in NXT. He expects people to follow his lead. Very good match. Keith Lee continued to show why he is so exciting to watch. He went for multiple dives in this match, and though not all of them connected, they all looked very impressive. Sullivan looked good as well, and he fought smart in the end which fits perfectly with his character. This definitely had a house show feel (since this was initially announced as a house show before being changed to a TV taping), but I think that allowed the show to focus on the matches even more than usual. As a change of pace, I really liked it. 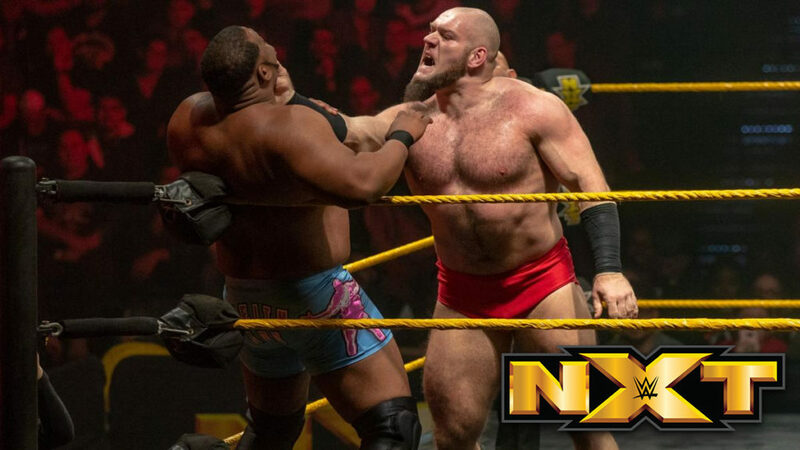 A very good big man match between two guys who do things a little differently than a lot of big men.